From concept to reality, Tough Armor rear bumper is the toughest body armor made you can buy for your truck. 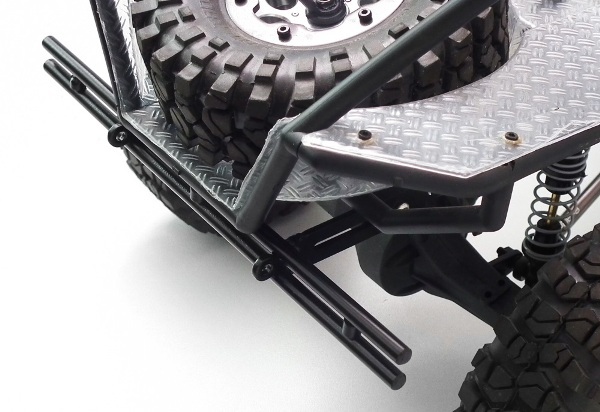 Offers innovative design and engineering, top quality fabrication and all weather coatings to meet the challenges of today's urban and off-road environment. 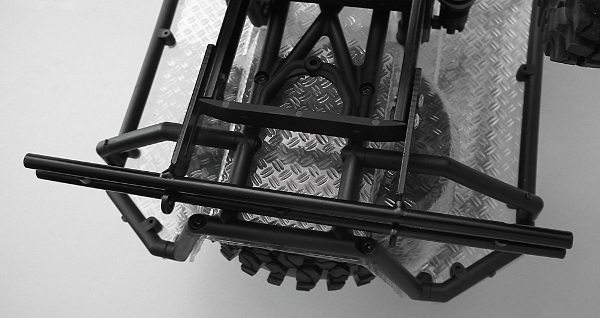 This bumper will direct mount on the SCX10 chassis. 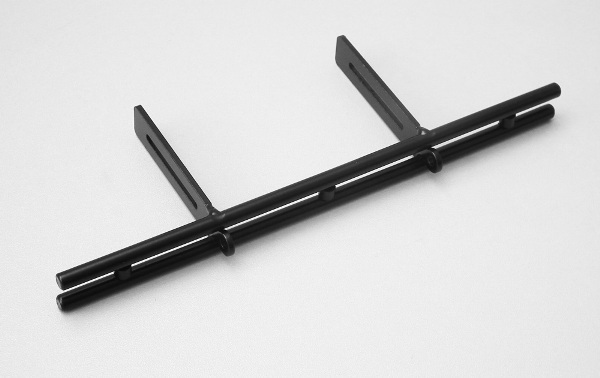 If you want to mount the rear bumper more securely, you will need to drill an extra mount hole in SCX10 frame. You can do this with a 3mm drill bit. Adding an extra hole to each side and use your own hardware to attach.